Two Wheels, Hot Wheels, No-Wheels, 4 or More . . . Arrive As You Are . . . Restore Who You Are . . . Leave Rejuvenated . . . Located at the edge of the Chattahoochee National Forest near Blue Ridge, Georgia. 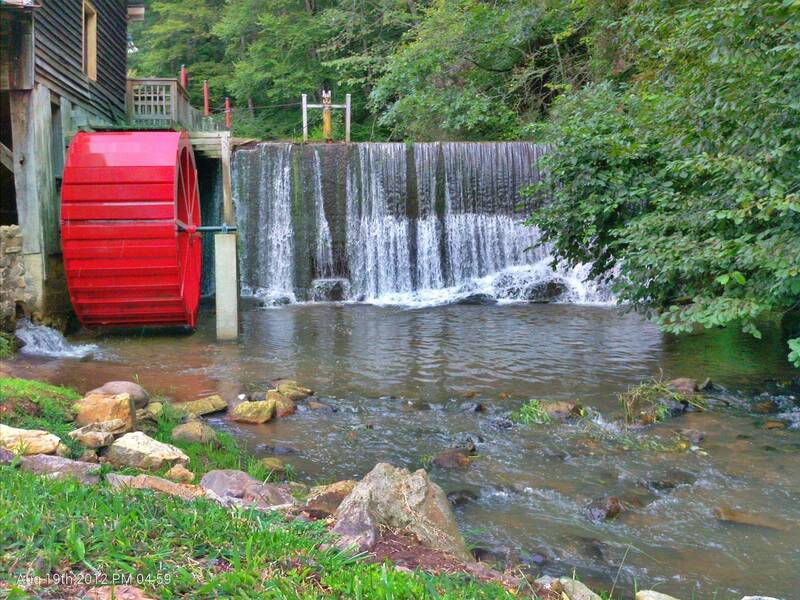 Camp Skeenah Creek resides on the grounds of the old Skeenah Creek Mill. 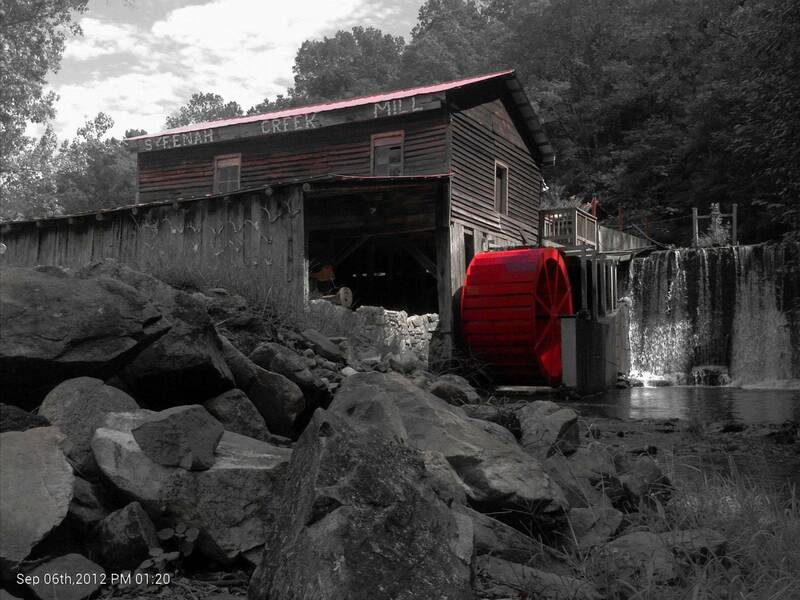 Built in 1848, the grist mill had been operational grinding meal for over one hundred and thirty years. The campground is honored to be in Skeenah Gap, a part of the greater Skeenah GapValley area. "Skeenah", according to the historic archives means, Damn Black Bear. The original native stewards of these lands, the Cherokee Indians translate the word "Skeenah" to mean ghost . We even have a few of our own for nightly rental. Tent Sites - Powered & H20 .... .
"C&C"- The Old Farm House built in 1895, has 3 Bedrooms we self-acclaimed "Cabin and Cook"(make your own). Although mostly, the Duchess will have the beds made and fresh coffee in the morning. The Roman Bath House differs from most campground Bath Houses.... hence the term Roman .... they always preferred hot water. We think thats a novel idea .... our mountain rendition gas heats water from our natural spring with insta hot and plenty of towels. Open-Air Club House- Overlooking the Old Mill, working water wheel and falls; sports WI-FI, satellite TV, sound system and even Karaoke. A great spot for weddings, parties, rallies, reunions and other social events. RV's - Pull-throughs with hookups (potty/power & H20) We even have a few of our own for nightly rental. 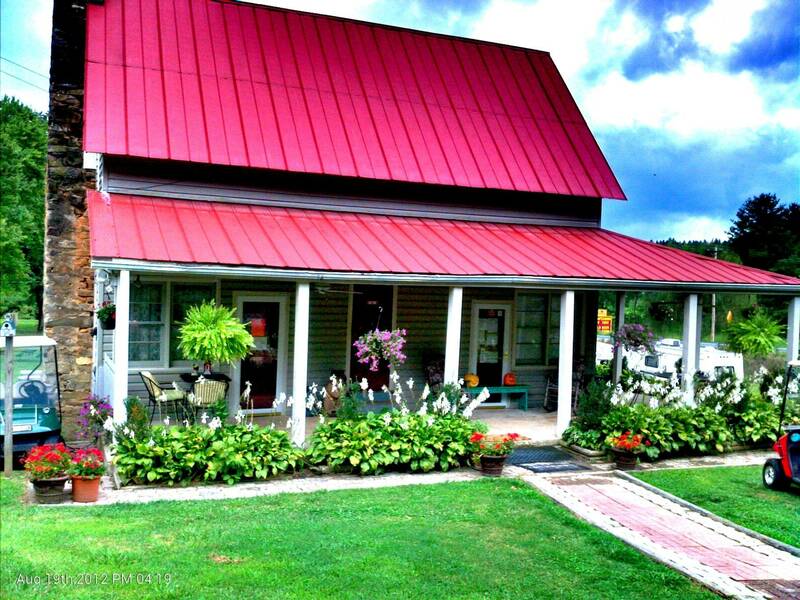 C&C - "Cabin & Cook"- 3 bedrooms are available in the 1895 Farm House. Bikers & Toy Haulers- Love our campground .... very biker-friendly & listed by T.W.O. (Two Wheels Only ), as their replacement camping location..
Off-Roaders- A plethora of space for their toys with ATV&OHV trails close by. A.T.erS & Hikers- A close stop over to the trail.